Peppers come in a range of sizes, colors and heat levels. Some, like the banana pepper, is a bit more on the sweet size and is delicious grilled or eaten raw or pickled. As with any pepper variety, you may encounter problems growing banana peppers. Perhaps, you are waiting with baited breath to harvest the first sweet pepper but suddenly notice brown banana pepper plants or fruit. Why are my banana peppers turning brown, you wonder. Is there anything that can be done about brown banana pepper plants? Let’s learn more. Why are My Banana Peppers Turning Brown? There is a difference between the fruit turning brown and the plant turning brown, first of all. A common affliction of peppers, as well as tomatoes and eggplant, is called blossom end rot or BER. This happened to me in my container grown peppers, which were otherwise gloriously healthy and abundant until one day I noticed a dark lesion at the blossom end of some developing fruit. I didn’t really think anything of it at first until a few days later when I noticed quite a few more with the problem, and the brown areas were getting larger, sunken, black and leathery. 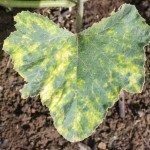 This disorder is very common and, in commercial crops, can be extremely disastrous, with losses of 50% or greater. If your banana peppers turn brown at the blossom end, it is almost certainly BER. On occasion, the lesion might be mistaken for sunscald, but sunscald is actually whiter in color. BER will be brown to dark brown, on the sides of the pepper near the blossom end. BER is not caused by a parasite or pathogen. It is related to insufficient calcium uptake in the fruit. Calcium is needed for normal cell growth and, when lacking in the fruit, results in tissue breakdown. Low calcium levels in the soil or stresses, such as drought or inconsistent irrigation, can affect the uptake of calcium, causing BER. To combat BER, keep the soil pH about 6.5. The addition of lime will add calcium and stabilize the soil pH. Don’t use ammonia rich nitrogen fertilizer, which can reduce calcium intake. Instead, use nitrate nitrogen. Avoid drought stress and huge swings in soil moisture. Mulch around the plants to retain moisture and water as needed – one inch per week of irrigation, depending upon temperatures. If you are going through a heat wave, plants may need additional water. Brown banana pepper plants are a different problem when growing pepper plants. The cause is most likely a fungal disease called Phytophthora. It afflicts pumpkins, tomatoes, eggplants and squash as well as peppers. In the case of peppers, Phythophthora capsici fungus attacks and can persist in the garden for up to 10 years in the right conditions. 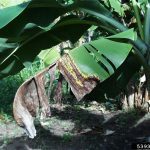 The symptoms are sudden wilting of the plant, which can’t be reparated with additional irrigation. At the crown and stem, dark lesions appear. Sometimes the fungus also targets fruit, spotting it with white, spongy mold. This fungus overwinters in the soil and as spring soil temperatures rise, and rain and wind increase, the spores mobilize to plants, infecting the root systems or wet foliage. Phytophthora thrives in soil temps above 65 degrees F. (18 C.) along with plentiful rain and 75-85 degree F. (23-29 C.) weather. 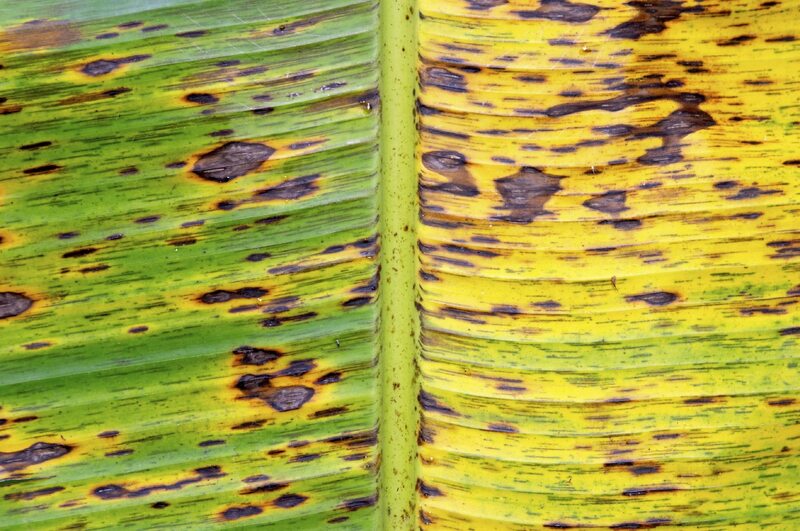 Cultural controls are your best bet combating Phytophthora. Plant peppers in raised beds with excellent drainage and water using a drip irrigation system. Also, water the plants in the early morning and don’t overwater them. Rotate banana pepper crops with Phytophthora resistant crops and avoid planting tomatoes, squash or other peppers. Also, sanitize tools in a solution of 1 part bleach to 9 parts water to avoid spreading this or any fungal disease. Lastly, banana peppers will go from yellow to orange and eventually to a bright red if left long enough on the plant. So what you might be viewing as browning on the pepper might just be the next shift in color from a bit of purplish-brown changing into the final fire engine red. If the pepper doesn’t smell, isn’t moldy or mushy, chances are that this is the case and the pepper is perfectly safe to eat.